Athens, GA – The 32nd annual Athens to Atlanta Road Skate is this Sunday, October 12th. This in-line skating event starts at the Classic Center in Athens and costs $120. 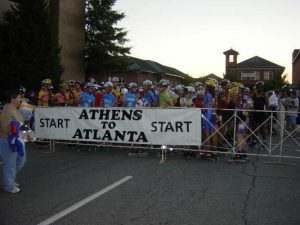 There are three different mileage options for those who may not make it the entire 87 miles to Atlanta. For more information on the event you can check out the website HERE.